I don't know if this is going too far - but (what the hell) - Alan Moore is the reason I read comics. D.R. and Quinch are one of my earliest comic memories (not including the Beano): and round the age of 13 I was given Watchmen as a birthday present: and even though it took me a few reads to properly start to "get" it (first time I read Watchmen - it felt like a massive anti-climax - but I think that's probably because I didn't really understand what happened and hadn't really managed to put all the pieces together - who did what thirty five minutes ago? etc). And since then I've followed the beardy Northampton wierdo everywhere. I've never really cared much about Jack the Ripper - but as soon as From Hell came out in a collected edition I was first in line: and so on with every other book with his name across the cover. And then there is Supreme. I've never really "got" Supreme. As opposed to his other books which not only always manage to look gorgeous but also show evidence of serious thought gone into the design (think of the nine grid layout of Watchmen or any page in Promethea): Supreme (frankly) looks shoddy. Open it up on to any random page and your eyes get blasted with either ugly late 90s superhero art as popularisied by the likes of Rob Liefeld - or it's (very well) constructed pastiches of comic styles from the 40s, 50s and 60s (which all tend to give me headaches). 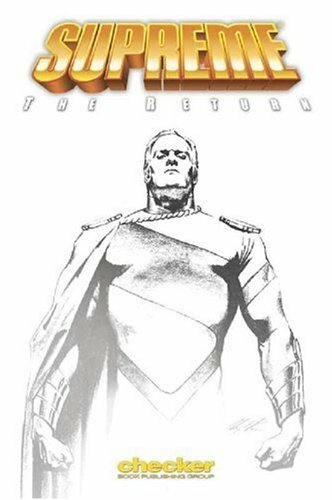 Plus - reading the first pages of Supreme: The Story of the Year - it's evident that you're joining the story halfway through - and it seems likely that (in order to make any sense of what's going on) - you need to have some idea of who this Supreme guy actually is. And - well - seeing how I only bothered to pick this book up in the first place because of Alan Moore's name - I had NO idea: he just seemed like some sort of Superman rip-off. 1. You don't need to have read any other Supreme stories in order to understand everything that happens in these books. 2. Yes - Supreme is a Superman rip-off: and that's the point. These books are Alan Moore playing around with the Superman archetype - and pushing, pulling and warping it into strange new messed up shapes. And 3. It's not the best thing Alan Moore ever written by a long shot (and if you didn't know it was him - you might not even be able to guess): and in lots of ways it feels slightly lazy and under-developed - and it's not really "about" anything other than the possiblities that lie within the superhero story (there's no real human characters here - and nothing really that anyone could apply to their own life): and in lots of ways it's a dry-run for the stuff that he was going to do with his America's Best Comics line (Tom Strong in partiular - in fact it even has Chris Sprouse - who's the main artist on Tom Strong). But - damnit - it's a pretty wild and fun sort of ride. With some very cool time travel type madness that only kicks in at the end of each book. Although I was kind of told this by two articles on the Comics Without Frontiers website (links below): which is the reason why I decided to give it one last go (despite having tried two or three times already - and never getting any further than about twenty or so pages in) - so thanks Miguel! Links: Comics Without Frontiers Article: Alan Moore's Supreme: Identity, Reality & Ideas / Final Thoughts on Alan Moore's Supreme. 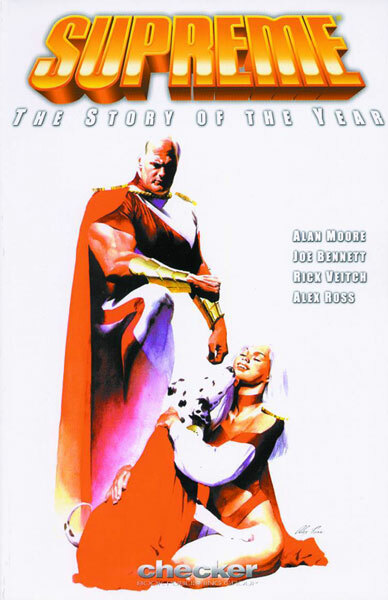 Further reading: Tom Strong, Superman: All Star Superman, The Complete Future Shocks, DC Universe: The Stories of Alan Moore, Irredeemable, Flex Mentallo, Superman: Secret Identity.